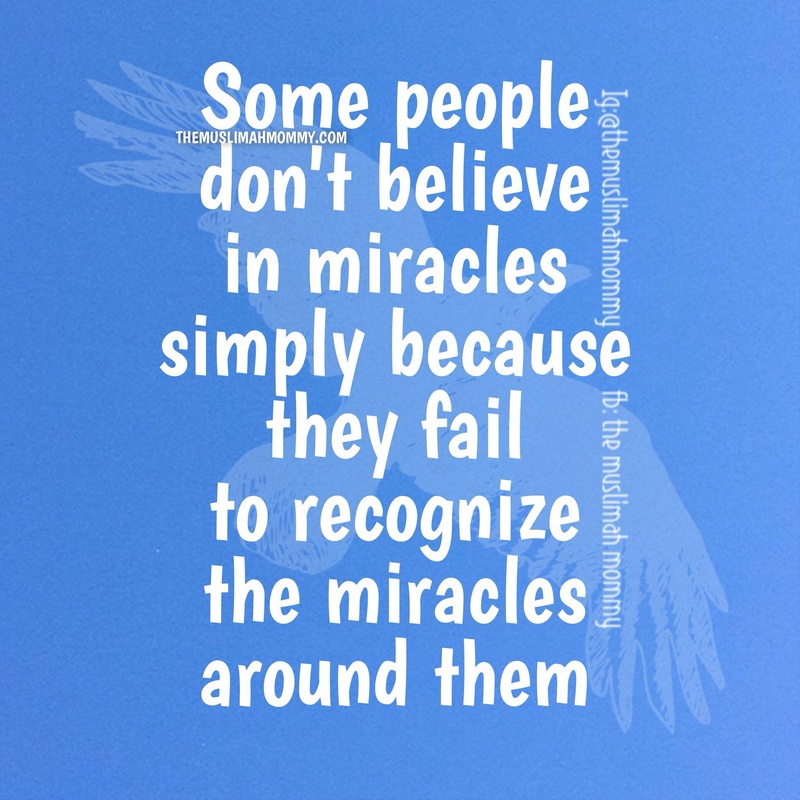 Some people don’t believe in miracles simply because they fail to recognize the miracles around them. All these people have to do is open their eyes, and they will see themselves surrounded by miracles. Is it not a miracle when a woman gives birth to a premature baby, and there is little chance of that baby surviving, yet that baby beats the odds and survives?! Surely, every breath this baby takes is a gift from God! Is it not a miracle that you lose your job of 10 years, and come close to being homeless; then out of no where you get a job far better than your last one? Do you think this new job offer was not a plan of God? Even a caterpillar turning into a butterfly is a miracle itself! Look at the birds, do you not see them soaring their wings above into the sky? Tell me, how is this not a miracle?! How are ANY of these not miracles?! سبحان الله ,it’s amazing! I believe in الله , it’s also a miracle, that I met some amazing sisters trough blogging, Sister.